Viking has announced a brand-new river cruise itinerary for 2019 to commemorate the 75th anniversary of the D-Day landings. 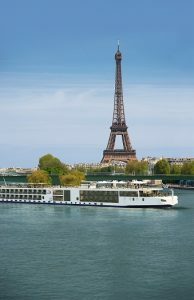 The exclusive 12-day Paris & D-Day 75th Anniversary cruise from London to Normandy is based on Viking’s popular Paris & the Heart of Normandy itinerary, with the addition of special D-Day-related shore excursions and a four-night stay in London with visits to significant British World War II sites. There are only two departure dates for this unique river cruise — May 29 and May 31 2019. “This new itinerary is an absolute must for history buffs and we’ve received a lot of interest in it already,” said Lubica Sibikova, Operations and Product Manager at Viking. 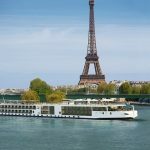 “Given that there are very limited departure dates for this river cruise, guests are encouraged to book as soon as possible to avoid disappointment,” she said. Day 1 (London, England): Arrive in London and check into your hotel. Free time to relax and explore. Day 2 (London, England): A scenic drive to Bletchley Park — home of the World War II codebreakers. Day 3 (London, England): Explore the Churchill War Rooms and the Imperial War Museum. Day 4 (Portsmouth, England): Stop at Southwick and discover the crucial role that the village played in the planning of the D-Day invasion, then visit Gunwharf Quays in Portsmouth and the D-Day Museum. Day 5 (Paris, France): Sail across the English Channel to Calais, then join your Viking ship in Paris. Day 5 (Paris, France): See all the Paris highlights — from the Eiffel Tower to Notre Dame Cathedral. Day 7 (Vernon, France): Visit the historic Utah Beach and Pointe du Hoc along the shores of Normandy. Day 8 (Normandy Beaches): A full-day tour of Colleville-sur-Mer, including Omaha Beach, the American Military Cemetery, the Arromanches Debarkment D-Day Museum and the Overlord Museum. Day 9 (Normandy Beaches): A full-day excursion to Juno Beach and the Pegasus Memorial Museum. Day 10 (Les Andelys, France): Visit the magnificent château of La Roche-Guyon, join a guided walk to Château Gaillard or visit the town of Giverny and the residence of Claude Monet. Day 11 (Paris, France): Visit Château de Malmaison, where Napoleon Bonaparte spent his final days in France, or join an optional tour to the Palace of Versailles, former home of Louis XIV. Day 12 (France): Proceed to Paris airport for your return flight. Thanks to Viking’s current World of Viking sale, guests can fly to Europe in economy class for $995 per person if they book before November 30 2018. For additional information, contact Viking Cruises at 138 747 (Australia) and 0800 447 913 (New Zealand) or visit vikingcruises.com.au.